Prosecutors in central Turkey have issued arrest warrants for 50 suspects over alleged links to the Gülenist Terror Group (FETÖ), the group behind the 2016 defeated coup, judicial sources said Tuesday. 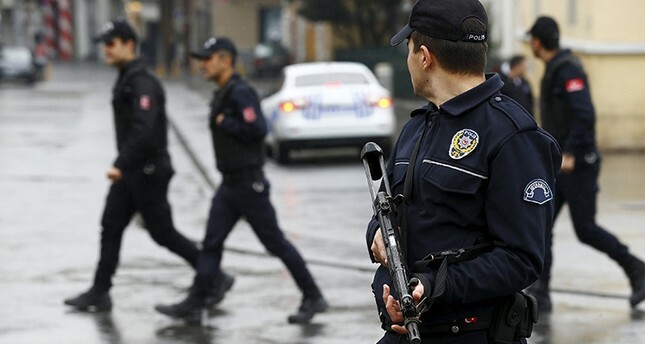 The suspects are sought by Turkish security forces as part of an ongoing probe into FETÖ infiltration of the Turkish military, added the sources, who asked not to be named due to restrictions on speaking to the media. The nationwide probe is being led by prosecutors in central Turkey's Konya province. The suspects are believed to be so-called "civil imams" in the military, who acted as the main FETÖ handler responsible for the group's infiltrators in the military, including directors, doctors, teachers, and more. Some FETÖ members managed to flee abroad, while others are believed to still be hiding their ties to the group. Fetullah Gülen, the U.S.-based leader of the terrorist group, is known for instructing his followers to disguise themselves. Several former members confessed to authorities that senior figures of the group trained them on how to avoid being detected while serving in the army, law enforcement or judiciary. The group is accused of being behind a long-running campaign to overthrow the state through the infiltration of Turkish institutions, particularly the military, police and judiciary.